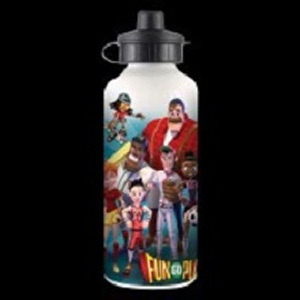 Offering the best collection of printed drink bottles for corporate and giveaway purposes, Dynamic Gift New Zealand is your saviour to overcome the restrictions set by other drink bottle suppliers. Keep potential clients hydrated and stay ahead in your activities with renewed vigor. Besides their convenience, durability, and portability that ensure your brand is always in the public eye, another advantage is that our items will make you more eco-friendly. So, browse our range of bottles now because our quality branding and big range of vibrant colours will cater to every clients needs! Choose from the assortment to promote your brand or company. Be the innovative mind behind to inspire others as they continue to use your gifts wherever they are – in offices, gyms, practising a recreational sport or even travelling. There is nothing childish in owning a sipper bottle these days they are actually ideal for sport. In fact, our action sipper is one of the most popular accessories in our promo arsenal. Light in weight therefore easy to carry, they make great storage in varied sizes in addition to making drinking your favourite beverages easier. Get them in amazingly vibrant shades of colour that will compliment your companies branding activity, add style as well as variety by giving staff and clients a printed drink bottle and be surprised with the attention your company receives. A wide mouth bottle like the x-stream shot bottle is easy to fill in and clean and has a pop top that is easy to drink from on the go. Completely BPA free and made from premium material they are designed with a unique finger grip and reliable screw on the lid to ensure no major spills at the big game!. Feel free to send us your branding requirements for our designers to show you a free virtual sample of the bottle. In the perky combination of colours, the recyclable and BPA free Calypso, Triton, and Marina drink bottles include the features like the non-drip, self-sealing lid and an optional clear over cap. What’s more, they are shatter and impact resistant, repel odours, and are dishwasher safe. We want the best for all our customers. And if you are looking for something really out there, Then say hello to our innovative H2 Glow Drink Bottle, and out play your competition with the world’s first flashing drink bottle! It simply cannot get better branding recognition than that. With its three different display sequences, its powerful LEDs (charged by batteries in the cap) will emit red, green, and blue light to guarantee you centre-stage visibility. Looking for travel mugs instead? Knowing how some people are passionate about drinking healthy, the Voyager Polycarbonate Bottle is their deal providing them measurements on one side besides the secure top lid and translucent colors. You don’t want your drink to finish early? Neither do we. Tumblers are ideal for those extra long drinks especially during summers. It is dishwasher safe. It is BPA free. It also has a double-wall technology to maintain the drink’s temperature. Check the travel mug range out here. Its food grade stainless steel, unique lid styles, supplied with an optional carabiner may not sound extraordinary to you. Now, consider this: the stainless steel will not require a plastic liner thereby leaving you independent of chemically and odour-infused beverage. Its existence is eternal and that means your branding (pad printed, screen printed, or laser engraved) will survive longer. Further, its recyclable and BPA-free nature helps you do your part in keeping the environment free of pollution. 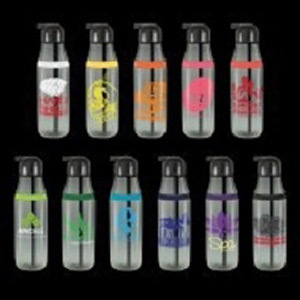 Whether it is the customised sports bottles or promotional drink bottles, we give you the chance to have them filled with 1-4 colour prints or ask for a full colour wrap printing. Since they will be printed locally in Auckland, we are able to ensure a fast three-day rush service to all our esteemed customers.